Professional full service commercial & residential property inspections & verifications. Instant communication available via cell phone 859-494-4123. Complete paperless services available and preferred. Digital photos included in pricing. Fax / Regular Mail service available. Volume affects service area and pricing. Now providing Professional Home & Field Service Inspections in Central, Northern, and Eastern Kentucky with B4U Close Home Inspections. 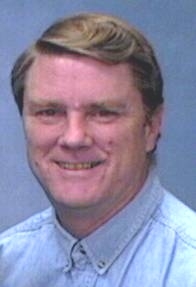 2002 - 2003 Member of the Board of Directors of the Kentucky Real Estate Inspection Association, KREIA, founded in 1992. Belong to the Largest Home Inspection Society in the United States. Passed the National Home Inspector Examination, provided by EBPHI, the Examination Board of Professional Home Inspectors on the first attempt. While Kentucky has no statewide licensing, this examination is used in many states as the licensing examination. Passing this examination is required for full membership in the Largest Home Inspection Society in the United Sates. "These Aren't Your Mother's Building Codes"